Our 20th Annual Pet Photo Contest kicks off on June 1st, 2018 when we will begin accepting photo submissions of your pet. This year we have made it easier for you to enter and submit your pet’s pictures(s). You can enter online at www.montgomeryhumane.com and submit your picture (the file should be 3000 pixels by 2400 pixels or 8 X 10 at 300 dpi). When taking the picture make sure it is at the highest resolution. All entries will be placed on our website www.montgomeryhumane.com and you may vote for your favorite entries online. Each vote costs just $1, with the top 83 animals earning a place in our 2019 “Friends for Life” calendar. Get your friends, family co-workers to vote for your pet! 7. There will be an overtime voting period at the 2520 Berryhill Road (adjacent to Petsmart) at 6 pm on July 27th. Everyone in line at that time will be allowed to vote in round by round competition. 1. Each entry will be $10 to the Montgomery Humane Shelter,1150 John Overton Drive, Montgomery AL 36110. 2. Enter as many photos as you desire, however, each requires an entry form and a $10 donation (make checks payable to the Montgomery Humane Society). 3. Entries will be accepted from June 1st through Friday, July 27, 2018. 4. Emphasis of the photo should be on pets, not people. All pictures submitted to “The Pet Photo Contest” are required to support/further the mission of the Montgomery Humane Society. All photographs will go through an approval process prior to being entered into the contest. The MHS reserves the right to refuse any photograph. 5. Eligibility. Everyone is eligible to participate in the 2018 “Friends for Life” Pet Photo Contest and Fundraiser. It is a fundraiser for the Montgomery Humane Society, so all entries and monies are welcome. 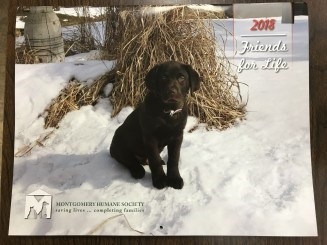 However, entries from employees and members of the Board of Directors of the Montgomery Humane Society are not eligible to win the coveted “Pet of the Year Cover Page” in the MHS 2019 “Friends for Life” Calendar. 6. Anyone may vote for any entry in the 2018 “Friends for Life” Pet Photo Contest and Fundraiser. Each $1.00 donation to the Montgomery Humane Society counts as one vote. You may cast as many votes as you like at any time for any entry. You are allowed and encouraged to vote for your own pets. Who loves them more than you do? Please remember that all votes are donations to help care for and feed the homeless animals at the Shelter and 100% of all donations go directly to care of the animals. a. The photo receiving the most votes will be the “Pet of the Year” and that photo will grace the cover of the MHS 2019 “Friends for Life” Calendar and also be featured as the January 2019 “Pet of the Month”. The photo receiving the most votes will also win a complimentary 11×14 oil Pet Portrait by Artist, Steven Davis. b. We will feature 14 “Pets of the Month” (includes the “Pet of the Year” featured as January 2019, pet of the month). (1) The top 13 photos receiving the most votes (1 through 13) will be featured as a “Pet of the Month” in the calendar. (2) “Best In Show” competition. A panel of three judges will choose one “best photo” that will be the 14th “Pet of the Month”. c. The next 70 top vote recipients (14 through 84) will be featured as “Pets of the Week” where we will feature five “Pets of the Week” for each month in the MHS 2019 “Friends for Life” Calendar. 9. On-line voting via www.montgomeryhumane.com will end at 5:00 pm CST on July 27th. We will continue to accept $1 voting at 2520 Berryhill Road (adjacent to Petsmart) until 6:00 pm CST. At 6:00 p.m. we will begin our special overtime voting period (see paragraph 10). 10. To avoid a group of individuals trying to be the last one to cast their vote and to ensure that no one will be denied the opportunity to vote, in fairness to all we will have an overtime period. So that we are not standing in line all night while each person votes $1 and then moves to the back of the line to vote again, we will have rounds of voting with increasing minimum amounts. At 6:00 p.m.we will cordon off the area surrounding anyone still in line. Anyone not already in line, may not join the line or vote after the line is cordoned off. Each person in line will be allowed to vote a minimum of $25 for any and all entries they wish. At the end of the round they must either leave the cordoned area or go to the back of the line for the next round. Once you leave the cordoned area, you may not rejoin the line or vote again. If you stay for the next round you must vote at least the new minimum amount which will go up an additional $25 each round. Round 2=$50 minimum. After each round, the leader board will be posted after all persons in line have cast their vote(s). If people are still in line to vote for round 3 and subsequent rounds, the procedure will be the same with the minimum vote increasing each round by $25 per round. Round 3 – $75; Round 4 – $100; Round 5 – $125, etc. The overtime period will continue until no one is left in line to vote.